The decision to elect no one to the baseball Hall of Fame class of 2013 will go down in infamy. The Hall of Fame voters of the Baseball Writers Association of America have made what’s being called “a powerful statement.” That statement was, “we are a collection of sanctimonious, hypocritical muttonheads.” For those who missed it, the baseball writers decided, for only the eighth time since 1936, to elect nobody to the hallowed halls of Cooperstown. They made this decision despite the fact that the potential enshrinees comprised nothing less than a galactic collection of talent. The BWAA wanted to “make a statement” about the “steroid era” of the 1990s, and anyone even tangentially connected to that period was going to be rejected in an act of collective punishment. This means that the greatest home run hitter in history, seven-time Most Valuable Player Barry Bonds, was not elected. It means that the greatest right-handed pitcher in history, seven-time Cy Young award winner Roger Clemens, was not elected. It means that the greatest hitting catcher in history, Mike Piazza, was not elected. It means that Sammy Sosa, who hit over 600 home runs, was not elected. 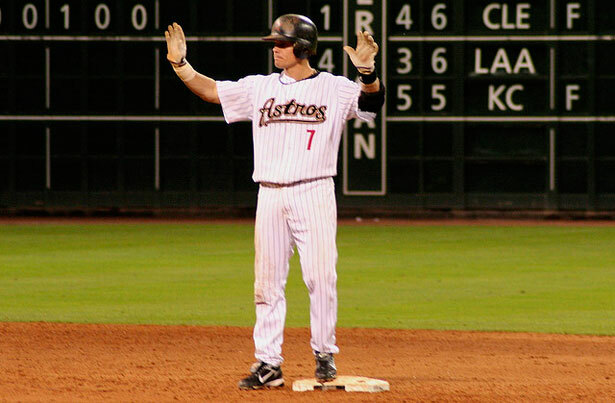 It also means that second baseman and member of 3,000 hit club Craig Biggio was not elected. The same writers who never said a peep about steroids in the 1990s and cheered the home run bonanza have now decided to dismiss the existence of an entire era. The Pharisees now pose as born-again Puritans. This motley crew of spurned All-Stars is as bizarre as it is nonsensical. Bonds and Clemens have had to fight back multiple accusations in courts of law of using performance enhancing drugs, while Mike Piazza’s only connection to steroids seems to be that he suffers from back acne. If only he had a better dermatologist, he might be celebrating today. Craig Biggio just happened to have had the misfortune of playing in the 1990s amongst the steroid-libertines. He’s Hester Prynne crossed with Forrest Gump. The Hall of Fame might honor the game’s greats, but it is above all else a monument to the dictates of ownership. That’s why a stumblebum like former commissioner Bowie Kuhn can be enshrined, but the man who cleaned his clock in every negotiation, Players Association leader Marvin Miller, is kept out. That’s why athletes suspected of taking performance-enhancing drugs are rejected, but the billions they generated in the form of television contracts and publicly funded stadiums are not being refunded. While the owners cashed in, the baseball writers wrote poems to their greatness and honored them with every post-season award. Now that the party’s over, the guardians have decided it’s time for a good old-fashioned shunning. They might find themselves, however, crushed under the weight of their own hypocrisy. Do you want to talk about performance-enhancers? Let’s start with every player before Jackie Robinson integrated the Major Leagues in 1947. I’m sure it enhanced the performance of Babe Ruth that he never had to bat against Satchel Paige. I'm sure it helped Lefty Grove's WHIP that he didn’t have to slip his fastball past Josh Gibson. Do you want to talk about steroids? As long as there has been baseball, there is evidence that players have ingested various testosterone products to gain strength. In 1889, 300-game winner and Hall of Famer Pud Galvin proudly drank monkey testosterone and was praised for it by none other than The Washington Post. As NPR discovered, the Post wrote, “If there still be doubting Thomases who concede no virtue of the elixir, they are respectfully referred to Galvin’s record in yesterday’s Boston-Pittsburgh game. It is the best proof yet furnished of the value of the discovery.” Do you want to talk about pharmaceuticals? There are people in the Hall who took amphetamines like M&Ms, aiding their energy and focus and allowing them to train longer and perform over the long grind of the season. Watch Dave Zirin’s response to the empty Hall vote on Current TV.